VTech Enchanted Princess Palace Just $28.97! Down From $60! PLUS FREE Shipping! 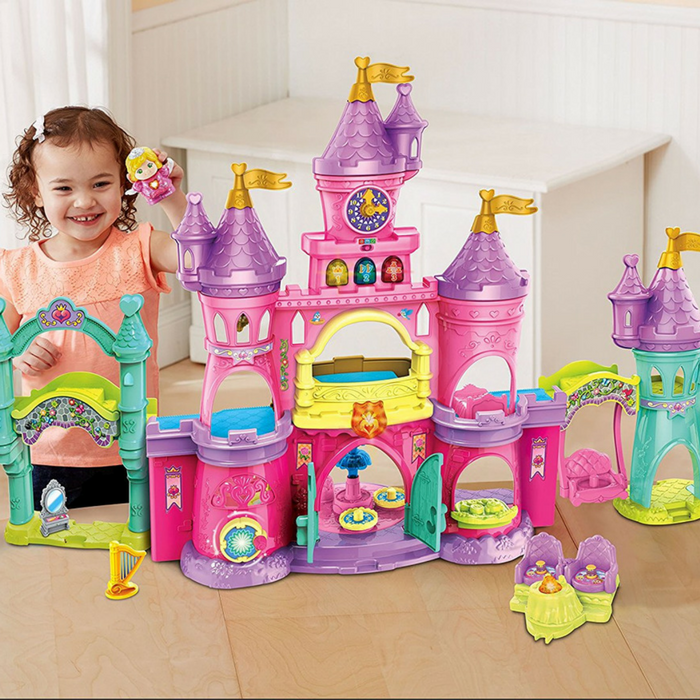 You are here: Home / Great Deals / Amazon Deals / VTech Enchanted Princess Palace Just $28.97! Down From $60! PLUS FREE Shipping! This VTech Enchanted Princess Palace is now on sale at Amazon for just $28.97 down from $59.99 PLUS FREE shipping! Explore each magical room in the Go! Go! Smart Friends Enchanted Princess Palace by VTech. This epic palace expands to more than four feet wide and has a variety of luxurious rooms, including a ballroom, music room, kitchen, parlor and observation tower. While exploring the palace with Princess Darla, place her on the five MagicPoint locations to experience her friendly personality, lights and more. When Princess Darla sits at her MagicChat tea set table with a friend (additional characters sold separately), they will chat and sing with each other. Create a whole kingdom with princesses, princes, magical creatures and more with Go! Go! Smart Friends!